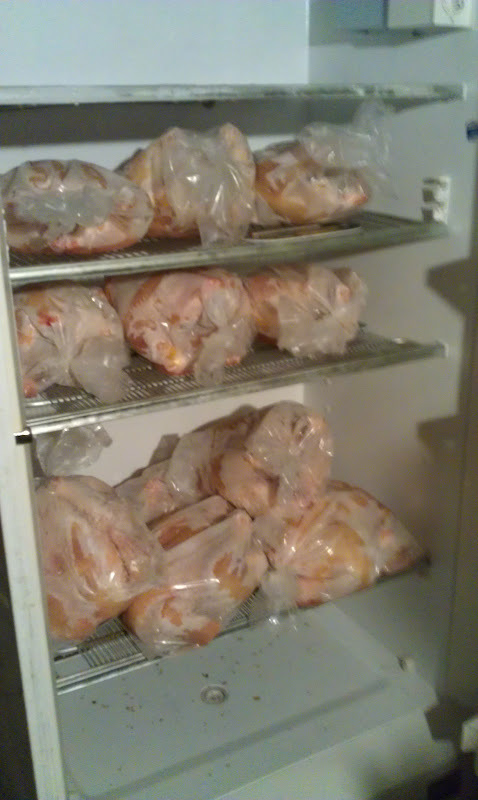 Meat Chickens. I'm not sure why now I've finally gotten the courage up... but suddenly this Spring it became alright to raise our own chickens. Don't get me wrong- we have had chickens almost as long as I've lived here- but only layers. I have had a mental hang up about taking our farming any farther... I have always been worried about the attachment factor, and the actual process of processing them. At an open house earlier in the spring we learned about a great poultry place right up the road from us and knowing their prices, and how "easy" they make it... suddenly it seemed like a less daunting thing to do. 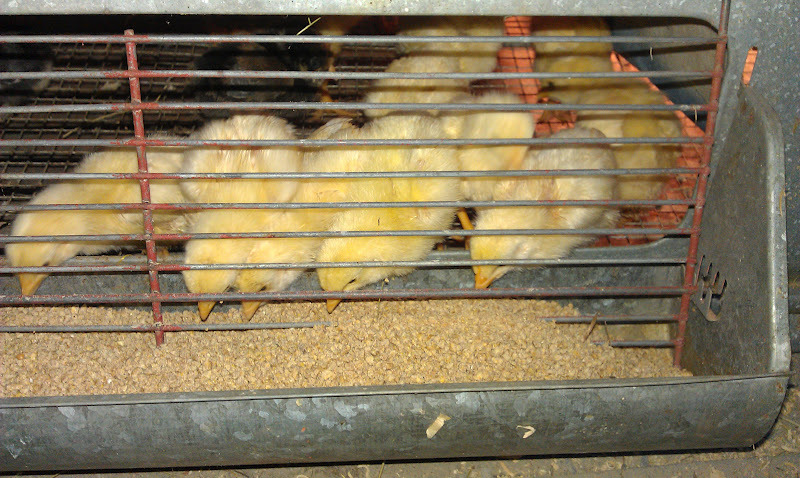 Then cared for them, cleaned up after them and gawked at their rapid growth rate for 8 weeks. We lost a few along the way (a learning curve to be sure!) and ended up with 14 in the freezer! Even though it's just about summer- we have had some cool rainy weather so I was able to roast one. 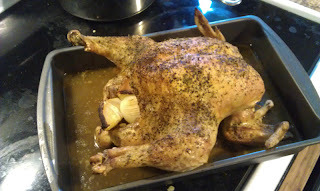 I'm no gourmet cook- and clearly need some training in trussing a bird- but I think it came out pretty good! 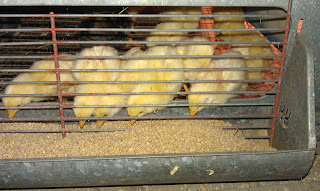 It's nice to know where the food we feed the kids came from- and what sort of life it had. 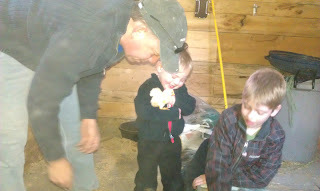 The experience was good for us all... if we do it again I've certainly learned a thing or two, and the kids will continue to see this part of the food chain and hopefully develop an understanding about feeding ourselves and working for food... not to mention getting to enjoy the tasty dinners! I'm impressed. I've gotten as far as canning my garden to be self sufficient, but to raise your own meat... Wow! That is awesome! It is a great feeling to know what your kids are consuming isn't it.